I think these instructions still work for posting pics. With the different software that now underpins the Gnatterbox you can do simply add photos and the like to a post as you create. As, I hope I am doing now by adding this screenshot of where to find the 'Attachments' bit at the bottom of this post. 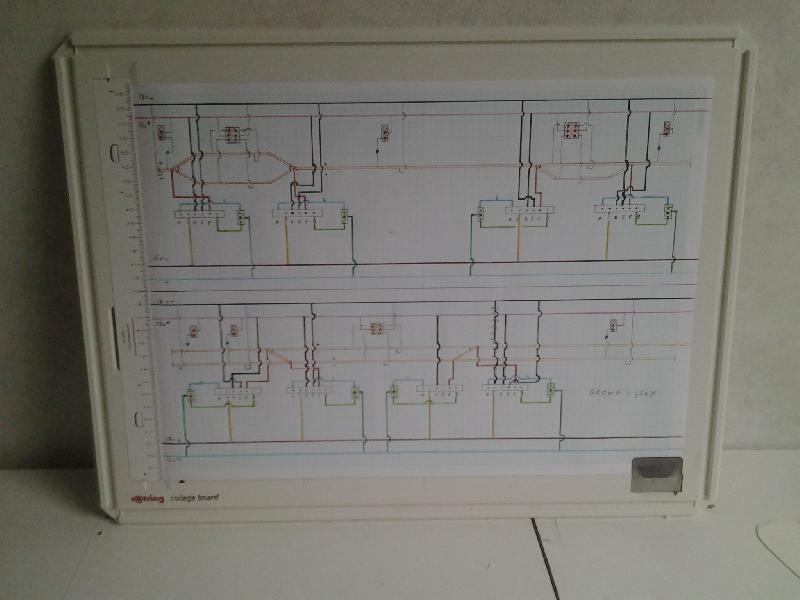 Have tried to attach some photo's as you said, similar to other attachment I have done when e-mailing other people, but just get a "error file too large" coming up. Could you tell me how to reduce the size as I am at a loss when it come to things like that. I've tried both the drag and drop, and also tried by doing an attachment method but get the same info' coming up. I've found a free program called irfanview very good for photographic manipulation. It can be found at irfanview.com. Thanks for the info. I remember using the formula to post pics that Don mentioned so here's hoping. This is the viaduct area, crossing over an inlet from the sea. 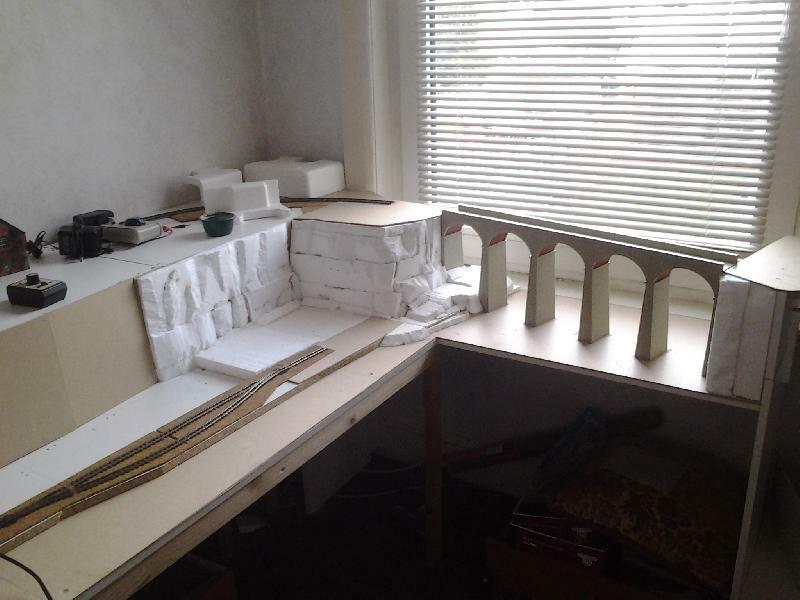 These are showing the 009 part of the layout going froom near thr viaduct, along the far lower wall and forming an L shape along the back. As a moderator I can edit your posts as well as my own but clearly the Stockers brain isn't quite in gear as, although I've tried a couple of things whenever I hit the Preview button it still isn't working. Thus I'm a bit of a stumped Stockers. EDIT: Just managed to post a picture - go to http://my.gn15.info/upload.php - choose Choose an image to load: - browse - load file and resize - then select/copy the img/url that pops up here. Last edited by fatmac on Wed Mar 11, 2015 6:45 pm, edited 3 times in total. Another thought, tell me I'm silly, but you have actually loaded your photos into http://my.gn15.info haven't you? I ask as it looks more as if some of the coding is typed, not copied. 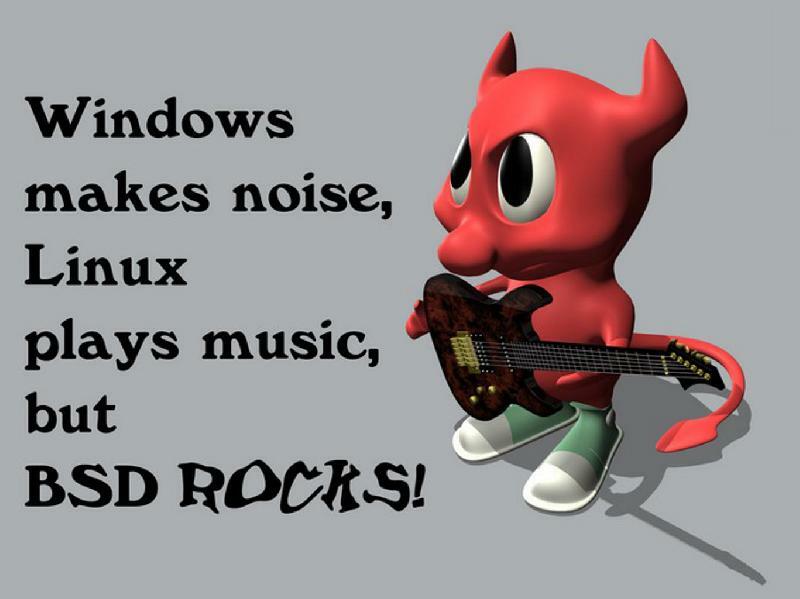 There is, for example a ģ not a g in the code for the first image. There are other typos in all the codes that suggests typing not copying and pasting. And yes, they must have the image tags please. As an experiment I'm going to upload a pic that is already on the forum from my Forbey 2 and is still there to see if will upload, as I have noticed that the spacing between the 2 // are larger than the ones on the my.gn15.info/upload.php page. I think I'm getting close to the root of the problem. As you can see some of your photos are now appearing. This is because I noticed each of your posts had a setting of 'Disable BB code'. And when I removed the tick the photos then appeared. I have a suspicion that the continued non-appearance of some is down to problems with copying and pasting. Ongoing I wonder if you might need to make a small change to your profile. I can't get at your profile but what I think is the key area in mine it looks this as standard. I am wondering if you have the Enable BBCode by default set to Yes as I have? Thanks Stockers, It looks as if you've cracked it. I remember when I did all the others I had to remove that tick. I only posted 3 . That's all I've got round to so far. As soon as I get time I will post the missing one, making sure to get rid of the tick and will do the other thing you said. Thanks to all who tried to resolve the problem I had in getting the pic's uploaded. Here is the third one of the set I have done so far. 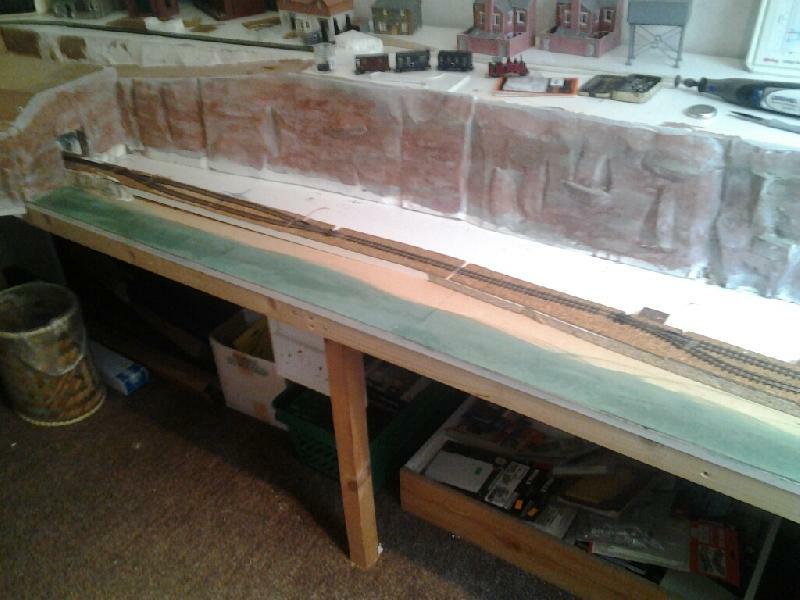 With the 2 others now on site (altho' in the wrong order) I hope you get the idea of the layout. 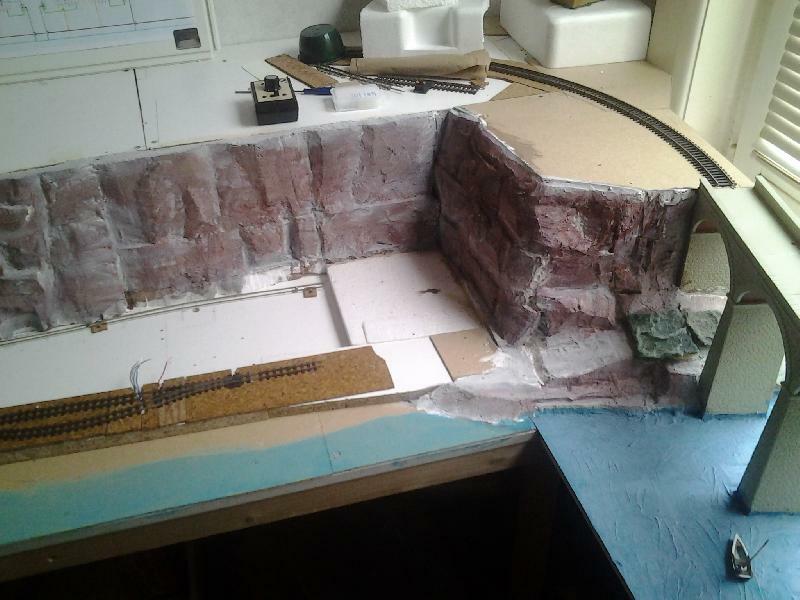 A small narrow gauge loco will bring passengers to and fro from the small station under the cliffs that the town sits above, a road down behind the tunnel area joining the 2 together, to a recreation area near the entrance to the bay. 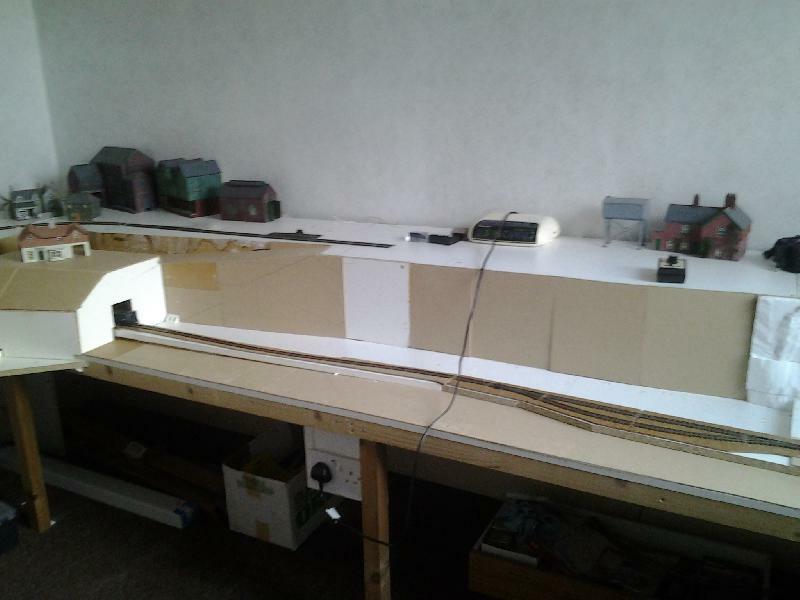 For a start, I'm concentrating on the lower (narrow gauge) layout to get something running. 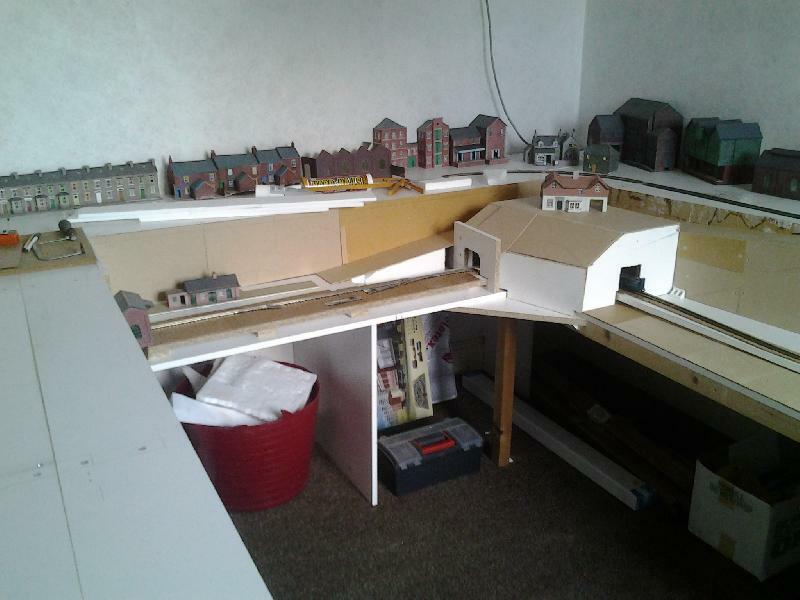 The buildings shown in the pic's are some already built ones salvaged from the older layouts that will be used around the 2 layouts. At least the photos have got there in the end! I don't know about Rowley but I needed a lie down after unravelling what was stopping the mail, sorry, the photos, getting through. It is indeed good to now see what's what. Once again, Thanks for the help you've given. Now all is sorted, I can get on with some modelling. 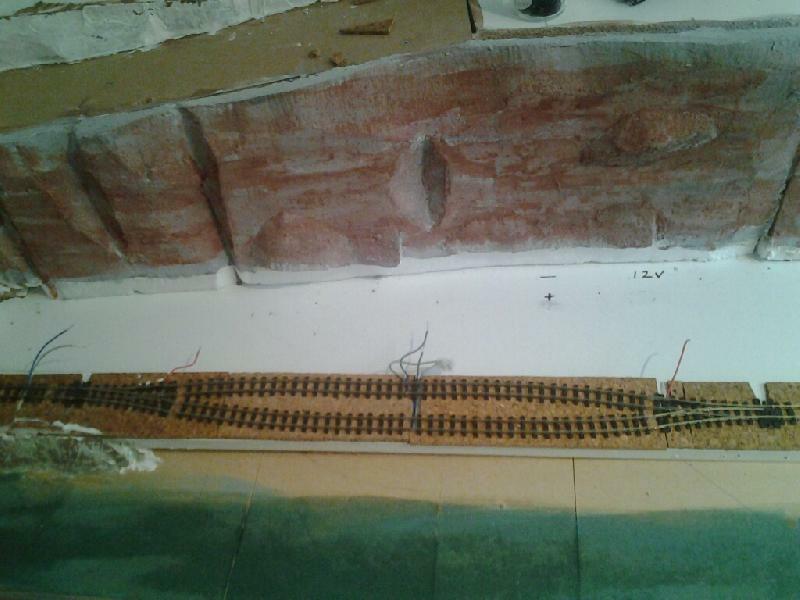 I have decided to put a passing loop in the layout and have a couple of trains running. When 1 is on the way from the town end, the other will leave the other end and pass in the loop. 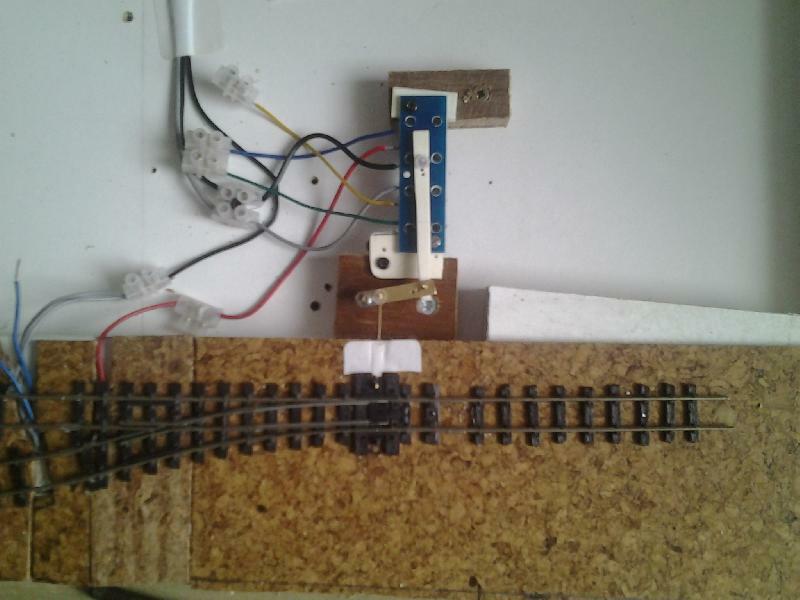 I have a couple of Grand Daughters who seem interested in the layout, so assuming that when I get the trains running, they will want a go,i am going to split the layout in to 2 parts with each controlled separately. Then there will be no "It's my turn". The split will be the cliff side of the loop.There are 8 points so this will become 4 to each one. 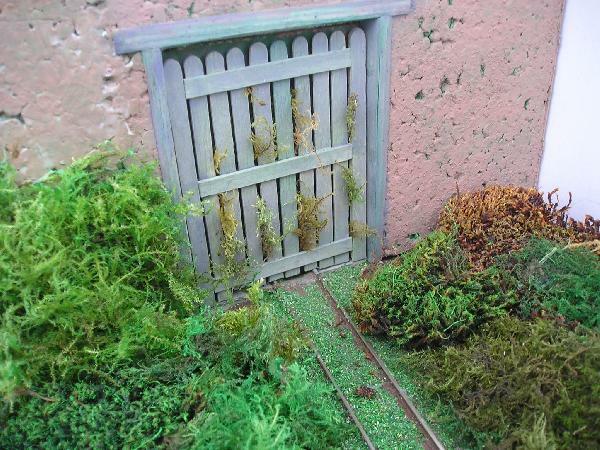 Just started sorting out the points when someone told me the the points I was using were not too great with 009 or N gauge as the movement of the points were not enough to change the polarity of the frog properly.